Colleen was born in Cleveland, Ohio, the oldest of three children born to Robert Victor Stark and Leona Iris Rudolf Stark where she spent summers at their cabin on Lake Erie eventually working as a life guard. She excelled in high school, receiving numerous academic awards and upon graduating was accepted into Mt. Sinia School of Nursing. After receiving her degree she pursued a career in nursing at the Veteran's Hospital where she was often Head Nurse. She married Clyde Hartz and moved to Geneva on the Lake, Ohio, where they had three sons and one daughter. They separated ways in 1954 and Colleen returned to Cleveland with her children. In 1958 she gathered her family and moved to the small mining town of Bagdad, Arizona, working at the local hospital. It was courageous for her to travel across the country alone in a station wagon with four little ones. Colleen was a capable and efficient woman. One summer she packed up her four children and arrived at church camp where she served as camp nurse, life guard and chapel pianist. After a few years she moved to Prescott, Arizona and worked at Whipple Veteran's Hospital. In 1962 she married Garth Mickelson and two years later they moved to West Linn, Oregon. Colleen fell in love with Oregon and never desired to live anywhere else. She was employed at Portland Veteran's Hospital until her retirement in 1985. Garth passed away in 1974 and Colleen moved to her home on Linden Lane in Milwaukie, Oregon, where she generously opened her home to her mother and sister for various lengths of time. She also had three of her grandchildren living with her for four years. During her retirement she spent many hours volunteering- things like transporting friends to doctor appointments, treating and dressing wounds, baking cookies and just being there for others. After selling her home she moved nearby to Homewoods on the River Retirement Center where she spent many fulfilling years receiving the "Volunteer of the Year" award in 2013. She was a member of New Life Church where she served as deaconess and sang in the choir. Colleen loved her church family and she loved to serve Jesus. With her beautiful smile and kind words, she never shied from witnessing to strangers. She was wise and full of God's grace. 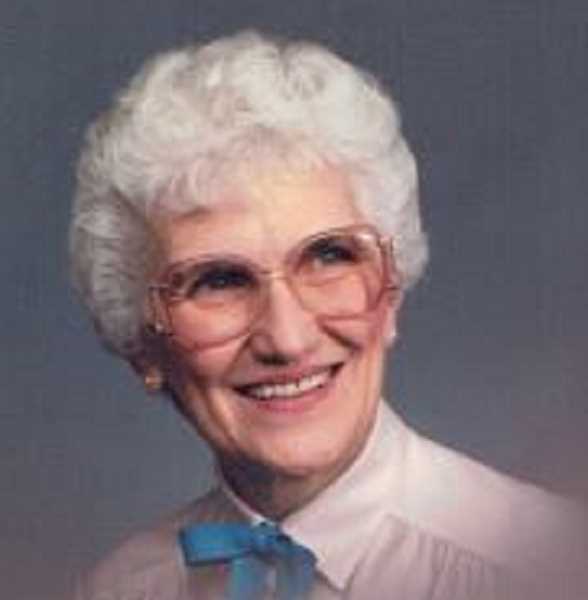 She enjoyed gardening and traveling, having gone to the Holy Lands in 1998 and to Italy on a church mission trip. In 2016 she moved to Baker City, Oregon to be near her son. She will be sorely missed by her friends and family. Colleen is survived by her sons and daughters-in-law, Garry and Carolyn Hartz of Rock Creek, OR, Darrell and Kathy Mickelson of Tillamook, OR, Maggie Mickelson of Libby, MO and also ten grandchildren. She is preceded in death by her husband; two of her children, Robin and Barry; and two grandchildren. A memorial service will be held for her on Sunday, December 16th at 2:00 P.M. at the New Life Church at 1984 McKillican Street in West Linn, OR. Arrangements will be handled by Peake Memorial Chapel.